Hey, folks! I just finished running through the free agents for this week, and we only have 29 total. Really? Well, I like some good competition, so I am busting several packs to try and sweeten the pot. Besides, we all know that means managers will be walking away with cards, too. All the free agents listed in this break will be added to tonight's free agent draft. I will only be scanning hits or inserts. Leading off: 1989 Topps. 15 cards (and 1 nasty stick of gum) per pack. Well, you can bet I won't be sending that promo card to Topps anytime soon! So far, we added a bunch of new free agents. Congrats to the managers who snagged some additions to their collections! 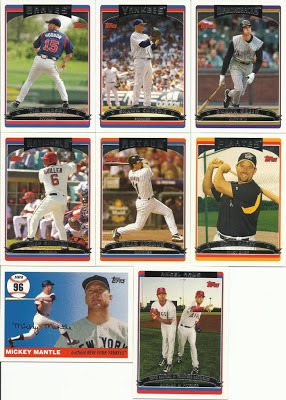 Next up: 2006 Topps Series 2. 12 cards per pack. Okay, we drew a few more free agents. managers took away some nice players. Sweet snag for Stealing Home on the Mickey Mantle. 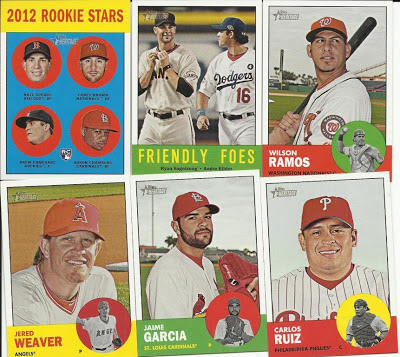 The next pack we're busting is 2012 Topps Heritage. 9 cards per pack. Great job, managers! This was certainly a pack for you. Plus, we had a couple multi-player cards to boot. We added a couple players to the free agent pile. Okay, we have expanded the free agent list to 46 players! That is plenty to get us going! Look for the draft later tonight. 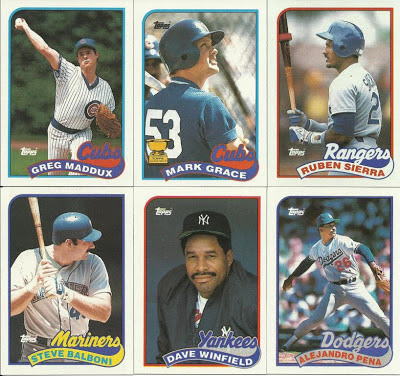 Sabo and Grace in the same 89 Topps pack? That would have been AWESOME to open in 89. Kind of like getting both Harper and Trout this year. Not to mention the Maddux and Winfield. I mean, we're talking a pack with great young guys and superstars of the day (at least in my eyes). Free Agent Draft 06/29/2013 OPEN! Tribecards from Outer Space: Great Gifts! Some very cool cards from Pedersej! Tribecards from Outer Space: Jumbo, bah humbug! 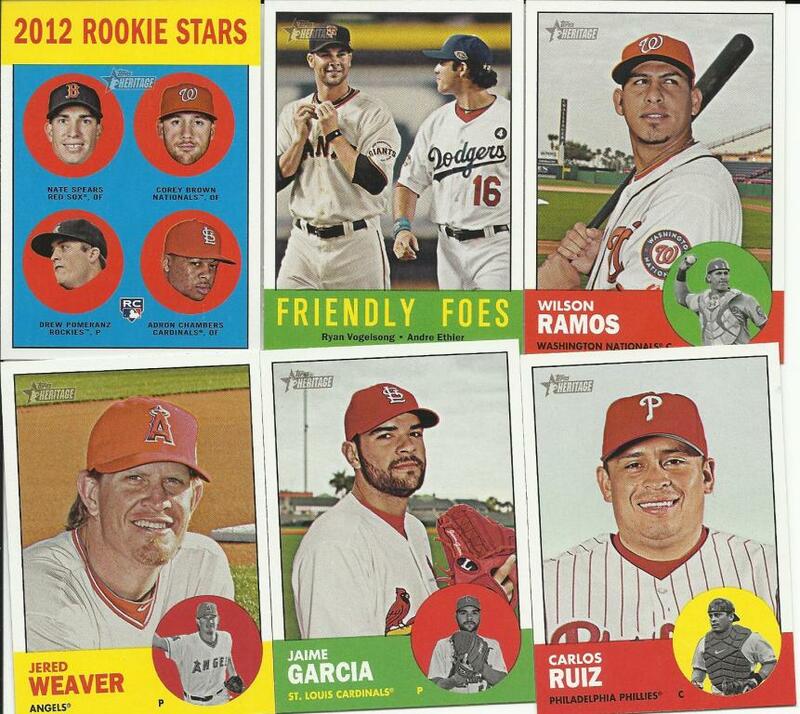 #Topps, where is the humor? Tribecards from Colorado Springs: A Fat Pack!